- How does the way the Games affect the brain explain Haymitch's drinking, Annie's distraction, and Wiress' speech problems? - What does the rebellion have in common with the War on Terror? - Why isn't the answer to "Peeta or Gale?" as interesting as the question itself? - What should Panem have learned from the fates of other hedonistic societies throughout history--and what can we? 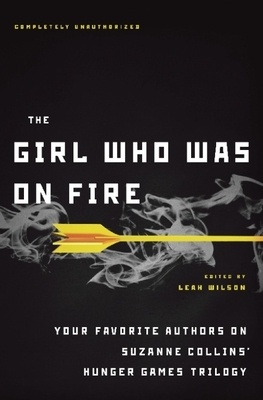 Leah Wilson graduated from Duke University with a degree in Culture and Modern Fiction and is currently Editor-in-Chief, Smart Pop, at BenBella Books. She lives in Cambridge, Mass. This book is LEGIT. All of the essays are thought-provoking and they really get into the heart and soul of the series. In fact, I’ll even bet you that you’ll come away from this book liking the series more than you did already. My copy is completely highlighted, underlined, written in the margins, and dog-eared. You don’t know how many times while I was reading it I said emphatically to myself, Yes! !” as I underlined or highlighted a quote or passage. A must-read for those interested in the Hunger Games.